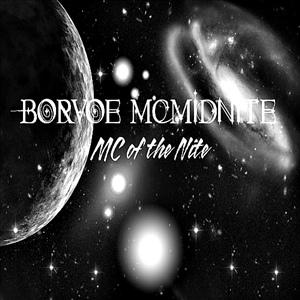 Borvoe McMidnite is a Hip-Hop artists with a classic approach. Also known as The "MCofdaNite", he catches listeners ears with unlikely punchlines and great beat selections. Borvoe's goal is to remind Hip-Hop Heads of the golden era while taking them to the future. Borvoe officially released his debut mixtape by the name "Two-Hitter Quitter" on 01/18/2012 for free dowload on multiple websites including Datpiff, Bandcamp, and Soundcloud. Taking listeners to a new plateau covering the edge, back, middle, and front. Keep your "ears" open to "see" the rise of the Midnite Sun, Borvoe McMidnite.